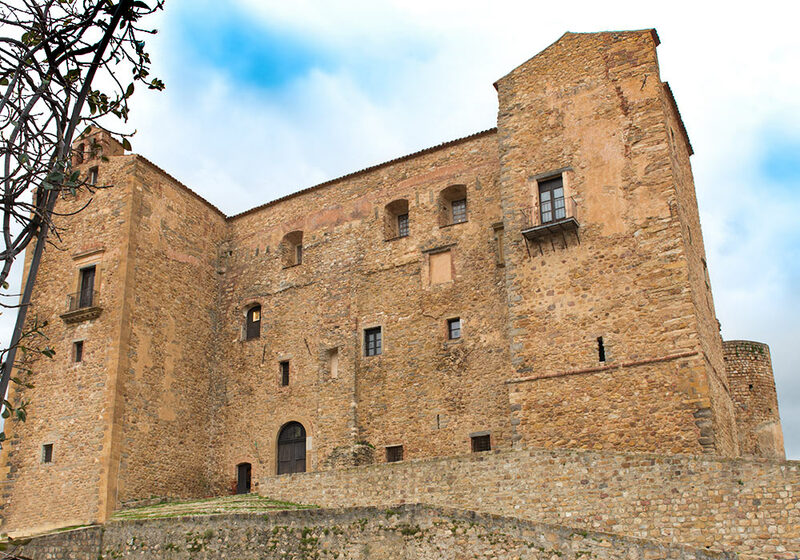 The castle in Castelbuono was built by the Ventimiglia family in 1316. 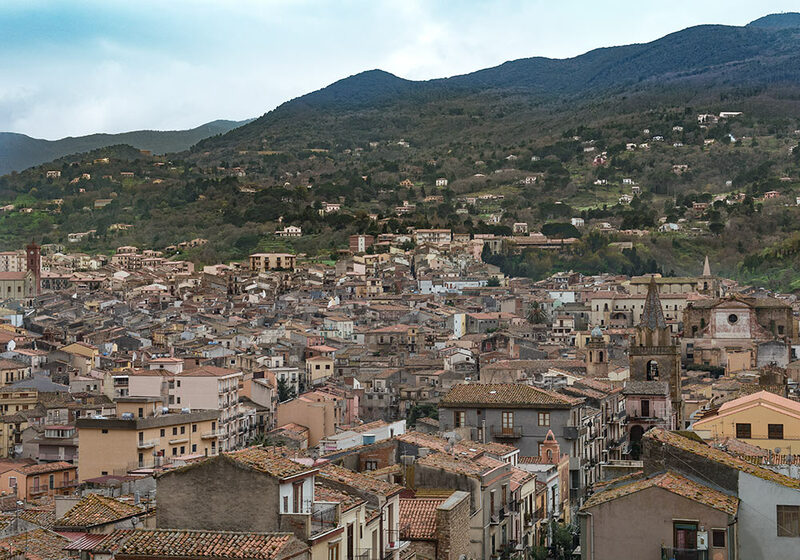 Apart from the spectacular castle, Castelbuono is known for the donkeys used to collect garbage through the narrow streets as well as the production of manna. 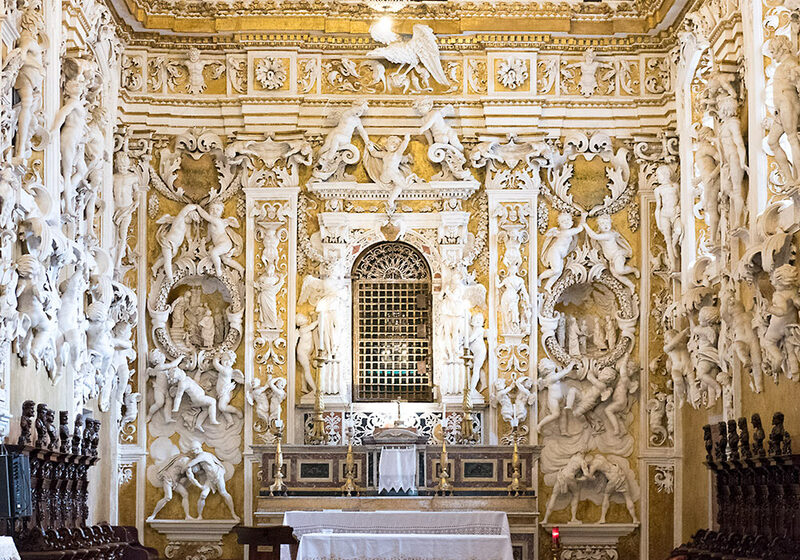 The brothers Giuseppe and Giacomo Serpotta may - or may not - have decorated the little Cappella Palatina ("Palace Chapel", 1683) in Castello Ventimiglia. Behind the grille, there is a 16th-century silver reliquary urn with a skull venerated as that of St Anne, mother of the Virgin. 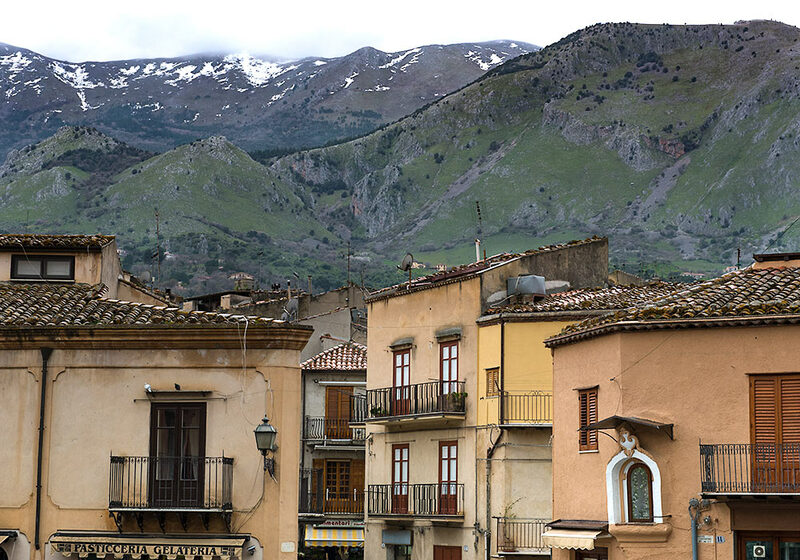 Mountains surround Castelbuono and gives the town a special charm. The Ventimiglia Castle in Castelbuono. 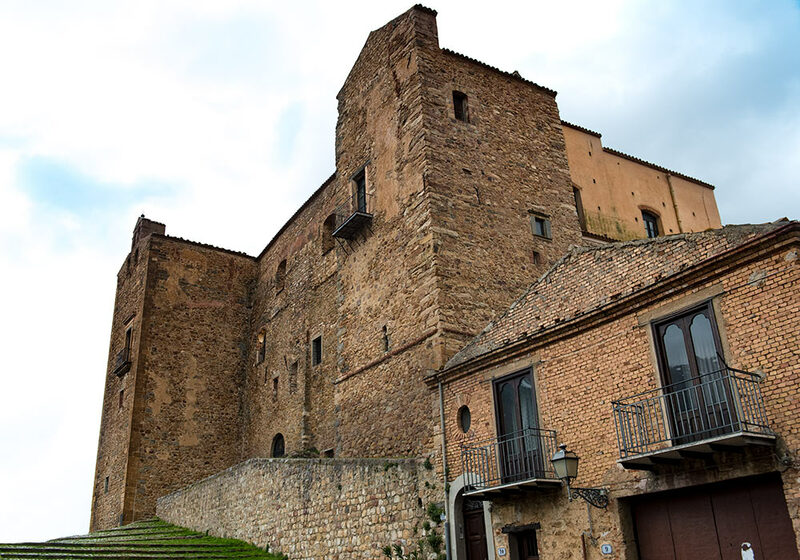 According to Wikipedia, numerous drastic alterations were made in the 17th century for reasons of accommodation, when a number of Ventimiglia families moved here from Palermo - the castle never served any really strategic purpose, owing to its geographic position down valley. The construction presents Arab-Norman and Swabian features: the cube shape recalls Arabic architecture; the square towers, although incorporated into those of the façade, reflect Norman architectural style, as also the battlements; and the round tower recalls aspects of Swabian architecture. 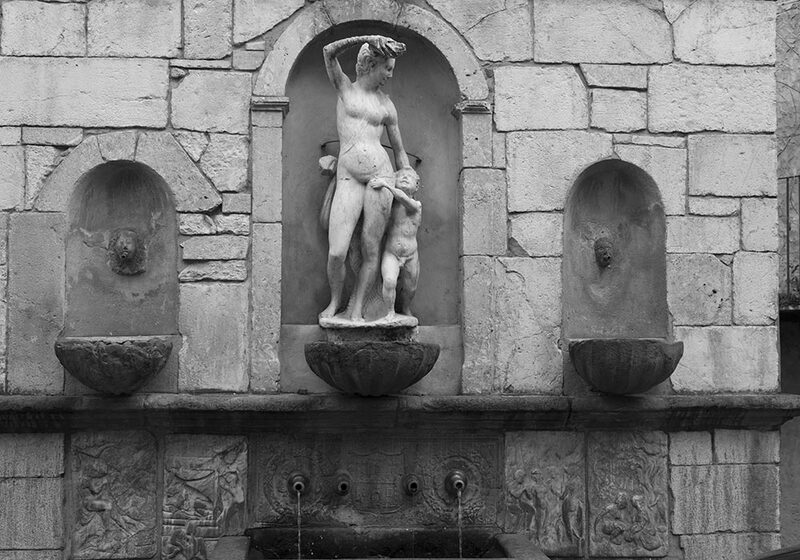 Venus statue (16th century) in Castelbuono. Slow life in Castelbuono one cloudy day in March. The tips below are just suggestions. Many find it better to have a specific place to go to, but if you're comfortable with driving around and just see where you end up, please do. You may find better parking than these recommendations, or you may get trapped in a one-way labyrith. 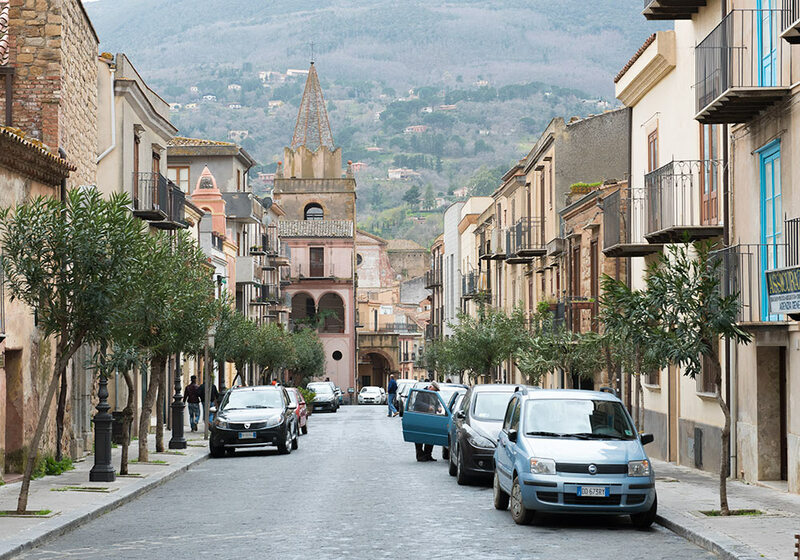 If you really want to prepare for your arrival in a Sicilian town, we found it very helpful to use Google Maps and choose Street View. Agrigento: There are several parking lots close to the Valley of the Temples. Caccamo: Parking in the street when you arrive, just before the castle. Or in the Piazza Duomo. Castelbuono: Parking near the castle is the most obvious choice but it can be full. Castelmola: In Via Cuculunazzo there is a small parking garage. It is not possible to park in the village itself. Cefalù: The street along the beach (Lungomare Giuseppe Giardina) has lots of parking spaces, but you'll have to pay. There's also parking near the railway station. If you really want to park for free, and you don't mind walking for 10-15 minutes, you could try the cemetary. Gibilmanna: Usually no problems parking near the church. Linguaglossa: Park in the street near the 18th century Church Chiesa Madre. 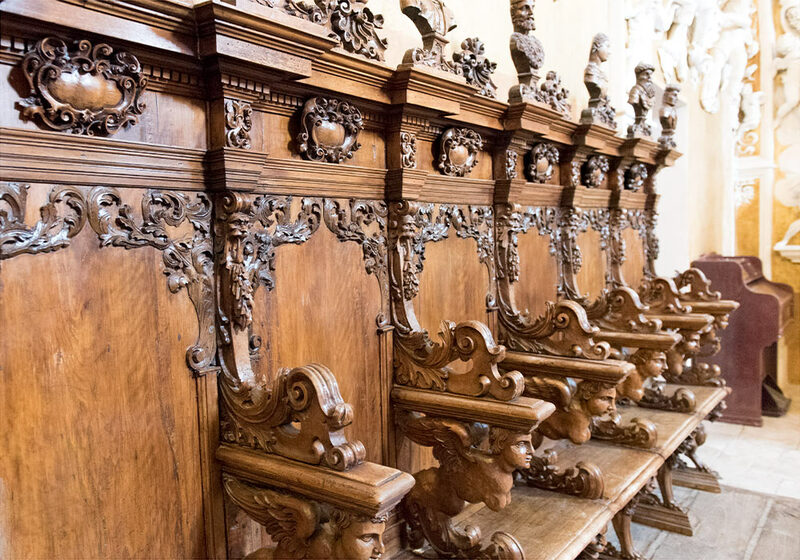 Monreale: Make it easy and use the parking garage in Via Palermo 102. 150 m to the cathedral. You can even stay here and take a taxi down to Palermo centre if you want to choose the easiest solution. 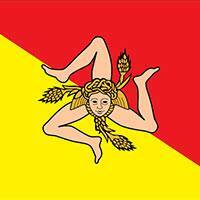 Noto: If you don't mind walking 5-7 minutes, we recommend going for the free parking in Via Napoli as you approach the centre. Look for parking after you have passes the petrol station on the right. Close to the city gate, you can park (and pay) in Corso Vittorio Emanuele. Unemployed, criminal looking men may want to protect the car for you. Palermo: Avoid car if you can. It is easier to park during the riposo (siesta). See under Monreale. Ragusa superiore: Parking opposite the Best Western Hotel Mediterraneo Palace (aka Mediterraneo Palace) in Via Roma 185 (Montalbano location!). Parking marked with blue lines, meaning you have to pay. Also: At Piazza Matteotti (by the Post office from the Mussolini period), there is an underground parking house. Entrance via Corso Italia, next to number 53. 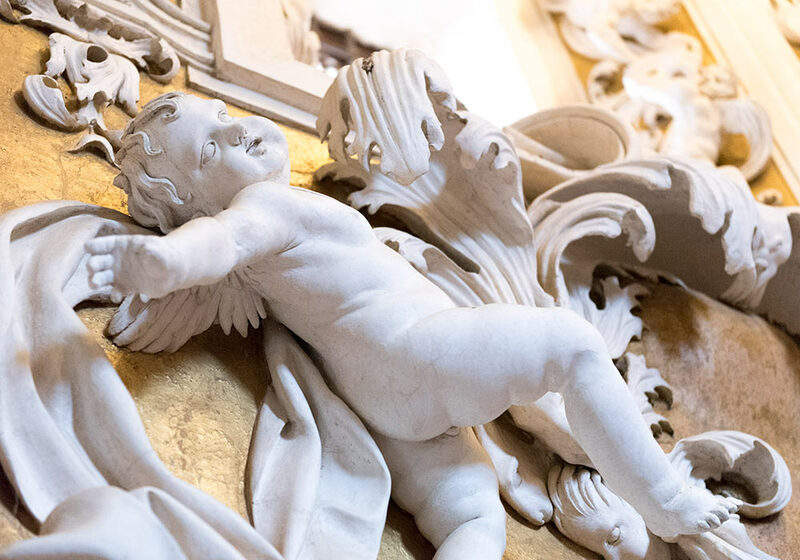 Ragusa Ibla: There are parking lots in Via Avvocato Giovanni Ottaviano, near the Q8 petrol station. Here is a link to the place in Google Street View. Segesta: Big parking lot near the entrance. Selinunte: Big parking lot near the entrance of the archeological site. Termini Imerese: Parking near the cathedral. If you see any errors or have any tips, please inform us via email, Twitter or Facebook.